Marijuana use is also becoming much more socially acceptable. A few states have either completely legalized marijuana or at least decriminalized it. Pennsylvania has recently joined the number of states that allow marijuana use for medicinal purposes IF the proper prescription is obtained. 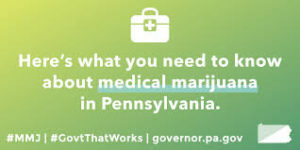 Many people somehow think that Pennsylvania’s allowance for medicinal use allows them to self-diagnose that marijuana is needed and thereby self-treat the ailment by smoking marijuana. That simply is not how the law works. As with any prescription medication, the person must meet with a medical professional, obtain a valid prescription, and then take the prescribed medication in accordance with the prescription. I often receive calls from Penn State students that are caught smoking marijuana in their dorm rooms and hope to assert a defense that the marijuana use was justified because it was needed to treat ADHD. The law in Pennsylvania is clear, possession of marijuana without a valid medical prescription is illegal. Possession of marijuana for personal use is a misdemeanor offense. If the amount of marijuana involved was less than 30 grams, then the charge is called Possession of a Small Amount of Marijuana for Personal Use under 35 P.S. § 780-113(a)(31), and if the quantity of marijuana is greater than 30 grams, then the charge is called Simple Possession under 35 P.S. § 780-113(a)(16). The larger the quantity of marijuana involved, the more likely it becomes that the police may suspect that the marijuana was not possessed for personal use but was instead possessed with the intent to deliver or distribute. Possession with Intent to Deliver marijuana is a felony offense under 35 P.S. § 780—113(a)(30). It should also be noted that growing marijuana, even if for personal use, is considered “manufacturing”, and manufacturing is also a felony offense in violation of 35 P.S. § 780-113(a)(30). Some cities and municipalities have passed laws to decriminalize marijuana possession. Such laws or ordinances are only valid in the jurisdictional limits of that municipality. The State College Borough passed a borough ordinance in 2016 that allowed police officers to file a civil, non-criminal, summary offense for marijuana possession. Regrettably, the passage of the ordinance has created a lot of confusion and actually may have resulted in the filing of more drug possession and related criminal charges. Many Penn State students have read that State College decriminalized marijuana and believe that marijuana is now legalized at Penn State and in the surrounding areas where Penn State students reside. The students are not aware that the borough ordinance and its applicability is limited to the jurisdictional limits of State College Borough. The University Park Campus is outside of the State College Borough. Many students reside in apartments located in Patton and Ferguson Townships, so also outside of the Borough of State College. The ordinance has not applicability to those areas. A student smoking marijuana in a downtown, State College apartment can be charged with an ordinance violation, but if that student crosses the street onto university property or smokes with a friend in a Patton Township apartment, the student would be charged with a misdemeanor marijuana possession offense. Aside from the criminal charges, Penn State students will also be subject to the university’s disciplinary process. Marijuana possession remains a violation of Penn State’s Code of Student Conduct, and a violation of the Code normally results in the commencement of a disciplinary action and a sanction. Another problem arises in the fact that the decriminalization of marijuana did not change the fact that possession of drug paraphernalia remains a misdemeanor offense under 35 P.S. § 780-113(a)(32). Marijuana and paraphernalia is like peanut butter and jelly or macaroni and cheese, meaning marijuana is useless if a person does not have a pipe or rolling papers to smoke the marijuana. 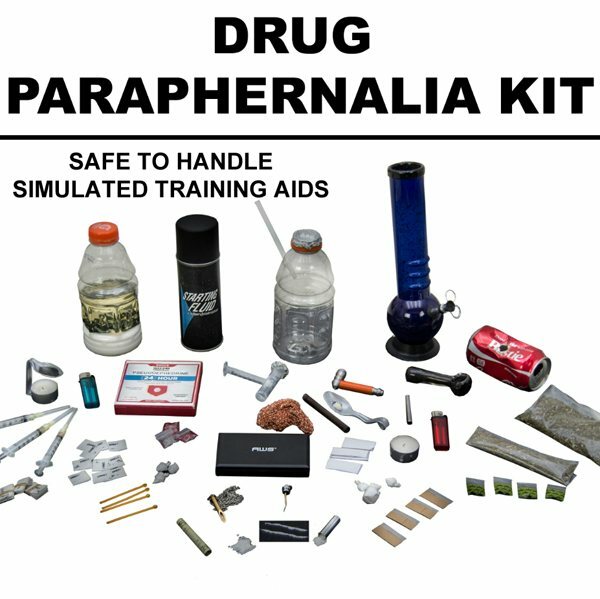 Paraphernalia includes obvious things like a marijuana pipe or bong, but even lawful things can be considered “paraphernalia” based upon its presence near drugs. For example, a baggy is clearly something that is legal to possess. I have baggies of all sizes in my house for lunches for my kids. However, if a baggy contains marijuana or even flakes of marijuana, then the baggy becomes “drug paraphernalia.” Rolling papers or a cigar found next to a baggy of marijuana is arguably drug paraphernalia. While State College decriminalized marijuana possession, there is no similar decriminalization for paraphernalia. Therefore, the Penn Student that is caught with a baggy of marijuana and a pipe faces an ordinance violation for the drug but a misdemeanor charge for the paraphernalia. Possession of a pipe is actually more severe than possession of the drug itself. The good news is that many first-time offenders, or even people with relatively minor criminal records, are eligible to participate in a pretrial diversionary program called ARD. ARD is an acronym for Accelerated Rehabilitative Disposition. With this program as used in Centre County, the participant enters a not guilty plea to all the charges and voluntarily accepts a punishment from the court. By completing the punishment and requirements of ARD, the person is able to obtain a dismissal of the charges. Dismissed charges remain on a person’s record, but, upon completion of ARD, the person is normally able to expunge the charges from the government’s criminal records. While such processes are not overly difficult for an experienced defense attorney, I do not recommend that people engage in DIY representation. When people try to represent themselves or hire a cheap, inexperienced attorney, they often end up calling and retaining me to clean up the mess. Cleaning up a mess is often more difficult, which means more expensive, and I cannot always fix problems. The key is to retain a good lawyer in the first place to avoid such problems.